The BJP would not destabilise Karnataka's ruling coalition, party state chief B S Yeddyurappa said on Saturday, a day after the Congress shifted all its MLAs to a resort near here fearing a poaching bid. The former chief minister said he had asked all BJP MLAs camping at a Gurgaon hotel to return and they would now tour the state's drought-hit areas. "I have directed all our MLAs in the resort to come to Bengaluru. They have all left, they are all coming (back)," Yeddyurappa said. "Now our work is to tour the drought-affected areas where people are suffering and try to address the problems they are facing," he told reporters here. "We will not try to destabilise this government for any reason, let them not have that fear. We will work as the opposition," Yeddyurappa said. "Let the Congress-JD(S) leaders not have any doubt about it," he added. The Congress on Friday moved all its MLAs to a resort to allegedly "escape" the BJP's "onslaught". According to top Congress sources, at least eight party MLAs had decided to jump ship and the party's legislators were shifted to the resort on the outskirts of the city to avoid this. Exposing chinks in the ruling Congress-Janata Dal (Secular) coalition in the state, four dissident MLAs of the former on Friday skipped the Congress Legislature Party (CLP) meeting here that was called as a show of strength against an alleged bid by the BJP to dislodge the H D Kumaraswamy-led government. CLP leader Siddaramaiah welcomed Yeddyurappa's decision to call back all BJP MLAs and asked him to "walk the talk" on not trying to destabilise the ruling coalition. 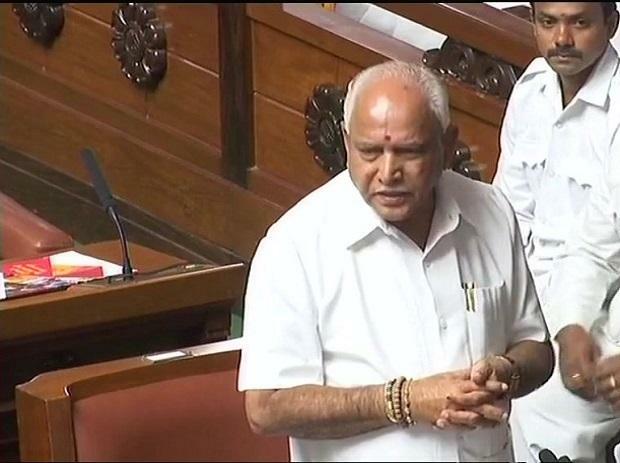 "I welcome Yeddyurappa's decision to call back the BJP legislators from Delhi and send them to monitor the drought management in the state," the Congress leader said in a tweet in Kannada. "Yeddyurappa has said that they will not destabilise the state government, they will work as opposition. Let Congress, JD(S) leaders not fear. He should walk the talk and save the public's trust," Siddaramaiah said in another tweet.